Roxanna has a well-founded reputation for efficiency. 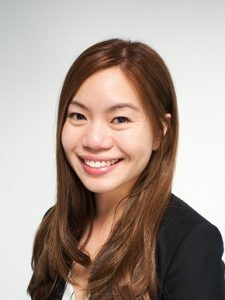 She has been working in the insolvency industry, from both accounting and legal perspectives, since 2011 and knows how to get the job done quickly and cost-effectively. Roxanna began her career working with bankruptcy trustees in some of Australia’s most high profile bankruptcy administrations. She has experience in dealing with asset realisations across a dynamic range of industries. In 2015, Roxanna was appointed as a Registrars’ Assistant in the Federal Court of Australia and gained valuable insight into the Court’s internal processes and judicial reasoning. During her appointment, Roxanna’s research papers on insolvency law were distributed to other state registries and she recommended changes to Court procedures which were adopted in the Federal Circuit Court (Bankruptcy) Rules 2016. Roxanna recently presented at the Parramatta Forum for ARITA on the topic of Bankruptcy and Environmental Law. Roxanna appreciates clients’ needs for a commercial outcome and is focused on delivering practical legal advice.